Thanks for all those who visited, exhibited or supported the Automechanika Shanghai 2018. We were glad to meet everyone of you at the fairground. See you next year! How did the visitors & exhibitors feel about the show? We have come to Automechanika Shanghai for the third time this year. The show has many resources, especially in the sectors for tyres and auto accessories, and actually has the REIFEN tyre zone and a dedicated tyre fringe forum. This is my very first time coming to Automechanika Shanghai. It’s very impressive that the show gathers many factories and potential buyers together in one location. I am excited about the opportunities. We feel that with the quality of show, the framework, and the flow of people, this exhibition has gone up to a new level. We have met a lot of buyers and exhibitors in the past few days, and the efficiency is very high. This year we chose to show at the Tomorrow’s Service & Mobility area in Automechanika Shanghai. A lot of agents, car manufacturers have come to learn our products. We’re highly satisfied with what we’ve achieved at the show. Mr Rick Wu, Business Assistant to GM- Overseas Sales Dept. Automechanika Shanghai attracts many repair shop customers to participate, who highly match our needs, so we chose to exhibit for the first time this year. We have established partnerships with more well-known domestic brands in the show. This year the scale of REIFEN is much larger than before and the buyers are much more diversified. I am also interested in the tyre related forums this year, which I think are a good opportunity to learn about the latest industry trends. 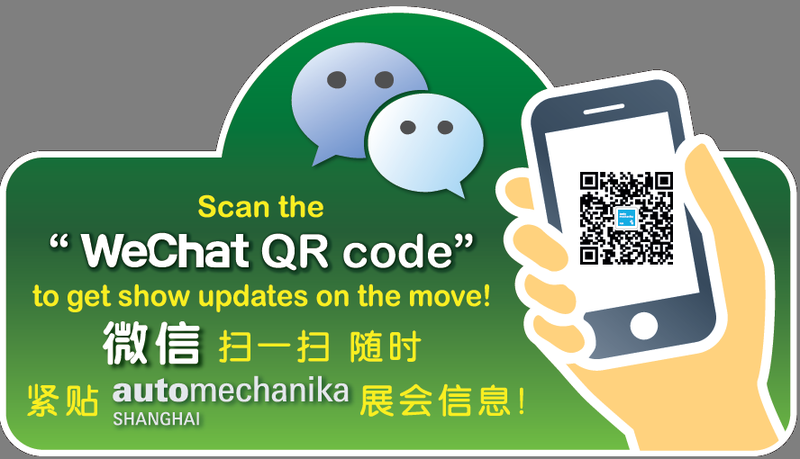 This is the first time we have joined Automechanika Shanghai. Its scale is a lot bigger than I expected and it is very popular with high quality buyers. I think the representation of the aftermarket is good, and reflects global standards.